In the early part of WW2 MI5 learned that a group of fascist-minded people in Britain, all with strong pro-German or Nazi sympathies, were considering what they might do to oppose the war effort. Many of them had been members of Oswald Mosley’s British Union of Fascists (BUF) but had left it finding it insufficiently proactive. At first MI5’s attention centred on employees of Siemens (GB), a company with a well-documented history of German intelligence involvement and thought likely to provide cover for previously recruited German spies and potential saboteurs. From the investigation into Siemens emerged a particular target. This was a violently anti-British woman of Swedish/German origin named Marita Perigoe (KV2/3800), the wife of an interned BUF member, who had made it clear that she was anxious to do everything in her power to aid the German cause. On account of this group’s potential for sabotage Victor Rothschild, head of MI5 section B1c, together with his assistant Theresa Clay, were given the task of running an operation to penetrate and control it. It was hoped by this means to ‘surface’ others of a similar pro-Nazi persuasion who might be capable of forming a fascist 5th Column - still a major source of anxiety for MI5 so long as invasion remained a threat. 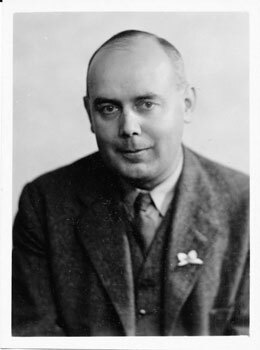 In close collaboration with the section F3, under Roger Hollis the Assistant Director responsible for monitoring the extreme Right-wing, B1c began work. In early 1942 it was decided that MI5 officer Eric Roberts (KV2/3873-3874), fresh from another operation where he had served with distinction, should pose as the Gestapo’s ‘stay behind’ representative in Britain eager to establish a network of people loyal to Germany. 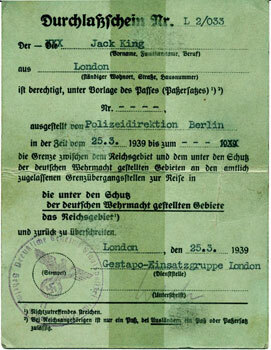 Armed with a fake Gestapo identity card, this officer made contact with Perigoe and became known to her and her fellow fascists as ‘Jack King’. Rothschild and Roberts were under instruction not to foster or encourage hostile acts in any way, rather to identify through Perigoe as many people as possible prepared to actively assist the enemy. The B1c plan was successful. Roberts operated from a block of flats in the Edgware Road which acted as a notional undercover Gestapo office and was covered by a microphone installation. He met Marita Perigoe there regularly but he found her difficult to control, particularly so when she was discovered to have committed on her own account acts in breach of wartime defence regulations. One such act involved surreptitiously copying details of military operations and equipment from her employer’s personal papers. On other occasions she confessed to Roberts that she had made sketches of the security arrangements existing at factories she was visiting in the course of her job. Fortunately, she gave all these documents to him in the confident belief they would reach Germany. She was not alone. Other British fascists were found to be equally keen to pass important information to Germany through Roberts specifically to undermine the Allied war effort. On occasions reports were compiled in secret writing, instruction in the use of which Roberts provided. Examples of members of Perigoe’s group follow. Their files are in the National Archives. (i) Hans Kohout (KV6/118), an Austrian-born naturalised Briton who worked for John Dickinson, a firm with secret Admiralty and Air Ministry contracts concerned with the manufacture of aluminium foil. Kohout gave Roberts technical details of WINDOW - the anti-radar ‘smokescreen’ then under development to protect RAF bombers from German radar. 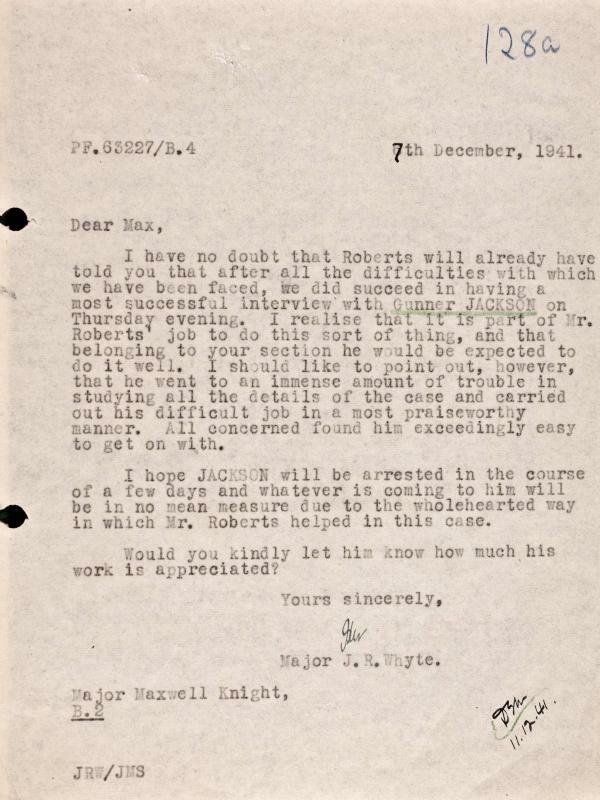 He told Roberts that had he not been able to give the information to him and, through him (as he thought) to the Gestapo, he would have passed it to a neutral pro-German embassy for onward transmission to Germany. Kohout had also acquired details of the Mosquito fighter-bomber aircraft under secret development. Mrs Clay in B1c noted on Kohout’s file that he was outwardly a loyal citizen who was serving in the Civil Defence. 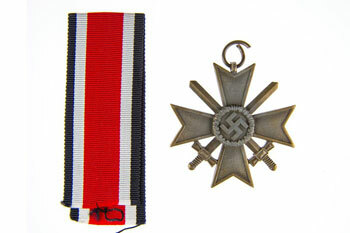 Also from his file it is clear that Kohout received a decoration (see below) from the ‘Gestapo’ - provided of course by MI5 - for the work he believed he had done for Germany. (ii) two other members of the group provided details of research into jet engine propulsion for passing to Germany. One of these, Hilda Leech (KV6/119), had a friend working at the aircraft firm Handley Page who shared the information with her. Leech herself worked for the Petroleum Board and gave Roberts regular reports on the location of countrywide fuel dumps for transmission to Berlin. (iii) Edgar and Sophia Bray (KV2/3799), both members of the British Union of Fascists, sought to communicate through Roberts details of an amphibian tank on secret trial, likely to be of the type to be used in the D Day landings. In their case and those of the others above, action was taken to ensure that no further leakage occurred. (iv) Ronald and Rita Creasy (KV2/4021-4023) also British Union of Fascists members, offered both information and help in providing safe accommodation for German agents or parachutists. 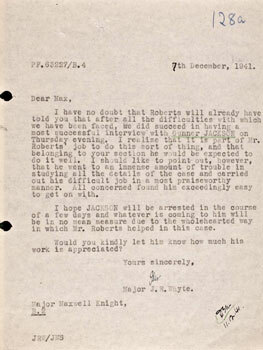 Ronald Creasy also offered Roberts a target for sabotage. In consultation with the police, MI5 recognised that prosecutions of those involved was impossible, as any defence counsel would undoubtedly raise the spectre of provocation in a jury’s mind. That said, through Marita Perigoe’s ceaseless work as a fascist rallying-point the Service gained a great deal of valuable information about a group of actively disloyal crypto-Nazis. At one point it was noted that so effective was she in contacting and nurturing them that numbers of disloyal people were coming to light every week. 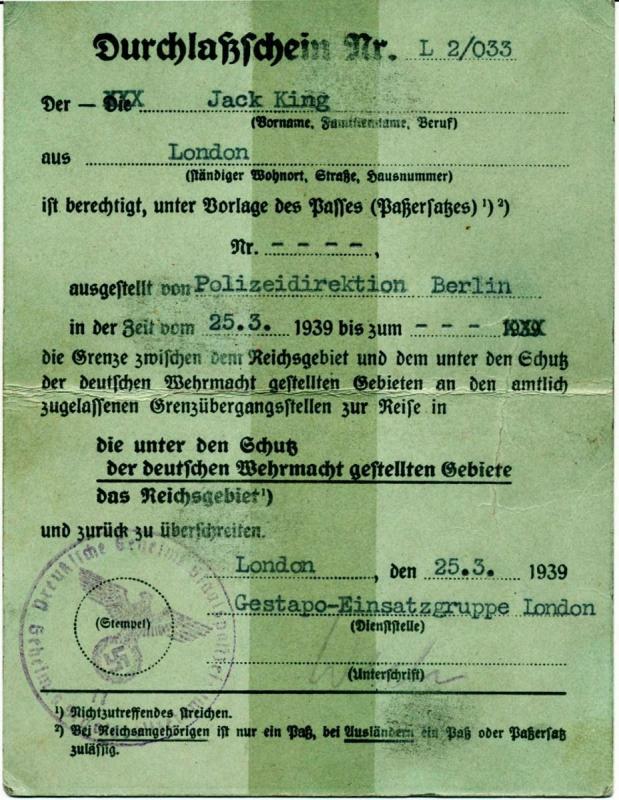 It was debated in MI5 whether she should not be told she had been ‘awarded’ the Kriegswerdienstkreuz 2nd Class and there is evidence that one was suitably counterfeited and given to her. The whole operation was considered significant enough for its details to be briefed to the head of the Security Executive, Duff Cooper, in 1943. Unfortunately no copy of this document has so far been found. For a variety of reasons, until very recently the story of her group and Eric Roberts’ achievements had gone largely unseen by MI5 historians and accordingly the significance of these events was unnoticed. The transcribed conversations Roberts had with Perigoe and her friends (KV2/ 3874) pay tribute to the manner in which he played his Gestapo role, always prepared to listen to endless chatter and occasionally thanking them for the ‘important information’ they were providing. That he was able to sustain the illusion over a period of years is a testament to his patient skill and professionalism. But for him - with the support of Victor Rothschild and Teresa Clay in B1c - it is likely that much vital information of benefit to the German war effort would have found its way to the German High Command in Berlin.